Home - Veja and Co Solicitors. Through a personal and pro-active approach Veja & Co. Solicitors have grown to become a trusted source of legal advice in the local community as well as offering services to clients throughout the country. We have a large team of solicitors who are able to bring together a broad range of expertise across the legal services spectrum. The criminal department is led by Raj Veja founder of the firm with 30 years criminal litigation experience. Raj recently qualified as Criminal barrister. We have extensive experience in defending Fraud, money laundering and HMRC prosecutions in addition to other complex criminal offences. We have successfully defended prosecutions from the serious fraud office involving often international conspiracy. 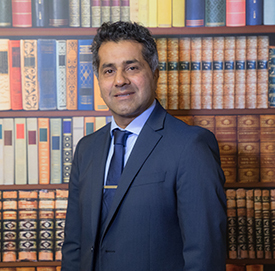 Raj is passionate about defending his clients and has a large client following.